Like any ordinary printer, this machine ingests a blank page and spits it out covered in print. 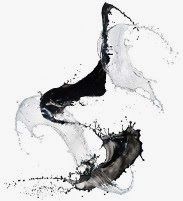 But instead of ink, it uses only water, and the used paper fades back to white within a day, enabling it to be reused. A team of chemists claims their "water-jet" technology allows each page to be reprinted dozens of times, a money-saving and tree-saving option in a digital world that still relies heavily on hard copy. "Several international statistics indicate that about 40% of office printouts are taken to the waste paper basket after a single reading," said Sean Xiao-An Zhang, a chemistry professor at Jilin University in China, who oversaw the work. The trick lies in the paper, which is treated with an invisible dye that colors when exposed to water, then disappears. The print fades away within about 22 hours at temperatures below 35 degrees as the water evaporates – quicker if exposed to high heat, Zhang and a team wrote in a paper describing their invention in the journal Nature Communications. The print is clear, claim the designers, and the technology cheap. "Based on 50 times of rewriting, the cost is only about 1% of the inkjet prints," Zhang said in a video on the Nature website. Even if each page was re-used only a dozen times, the cost would still be about one-seventeenth of the inkjet version. Sean said dye-treating the paper, of the type generally used for printing, added about 5% to its price, but this is more than compensated for by the saving on ink. Crucially, the new method does not require a change of printer but merely replacing the ink in the cartridge with water, using a syringe. "Water is a renewable resource and obviously poses no risk to the environment," said the study. Previous work in the quest for a disappearing ink has tended to yield a low-contrast print, often at a high cost, and sometimes using hazardous chemicals. Zhang and his team used a previously little-studied dye compound called oxazolidine, which yielded a clear, blue print in less than a second after water was applied. They have managed to create four water-printed colors so far – blue, magenta, gold and purple – but can only print in one hue at a time, for now. The next step is to improve both the resolution and the duration of the print. They are also working on a machine that will heat pre-printed sheets of paper as they are fed into the machine, fading the pages instantaneously for re-printing. At 70 degrees, the color disappears within about 30 seconds. Zhang said the dyed paper was "very safe" but toxicity tests are underway to be sure. 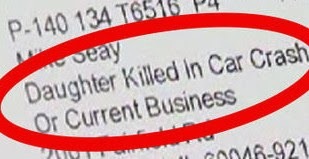 NBC Chicago reported on the letter sent to Mike Seay, whose 17 year old daughter Ashley died in a car crash in April 2013 in Antioch, Illinois, and to whom the office products retailer sent marketing material addressed to Mike Seay and "Daughter Killed in Car Crash" on the address label of the envelope. The letter was received by Seay last Thursday, and he asked friends how to handle the situation, eventually deciding to contact the company"s call center, who told him "it was impossible" and that "this can't be happening", before NBC contacted OfficeMax, who have "blamed it on a third-party mailing list provider". Seay stated to NBC: "Why would they have that type of information? Why would they need that? What purpose does it serve anybody to know that? And how many other types of information do they have if they have that on me, or anyone else? And how do they use that, what do they use that for?" OfficeMax later sent a statement out from its corporate affairs office, saying: "We are deeply sorry that Mr. Seay and his family received this mailing from us, and we are reaching out to Mr. Seay to convey our sincerest apologies on this unfortunate matter. 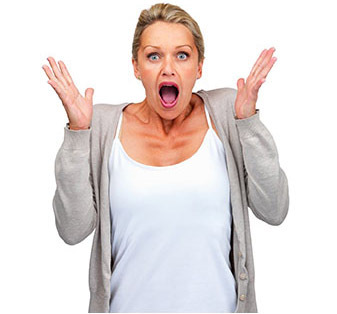 This mailing is a result of a mailing list rented through a third-party provider. We have reached out to the third-party mailing list provider to research what happened. Based on a preliminary investigation today we believe this to be an inadvertent error; and we are continuing the investigation." Entrepreneur.com in turn discussed how the company had "failed on the PR front … twice" by having "mishandled customer service" by meeting Seay’s queries with "incredulity rather than an apology, let alone sympathy", and by then "immediately blaming a third-party vendor"; in this site’s view, the fact is that "the letter bore OfficeMax’s brand, so the public does not care who erred". The site went on to note that customer service is the "front line of public relations", and that "by failing to manage and assure quality" in terms of the third-party company, OfficeMax "fumbled its brand protection … blaming the vendor does nothing to absolve OfficeMax of that responsibility". It also dismissed privacy concerns by stating that the error "was more mundane", and that it was "not the existence of this data that was a problem, but rather its use" by the company. We at Priceless Inkjet Cartridge Company are committed to protecting your privacy. We use the information we collect about you to process orders and to provide a more personalized shopping experience. Your personal information will never be, under any circumstances, released, sold or rented to any third party. Guaranteed! A new market report from Reportlinker, titled Global Mobile Printers Market Forecast & Opportunities 2018, discusses the mobile printing market's future growth, with expectations that it will reach a value of $11.87 billion by 2018 across the globe. The site states that the mobile and portable printer market "came into existence in 1985", and that by 1990 the machines were "widely available and were being extensively used in retail, transportation and hospitality" industries, with "initial adoption" seen in the North American and European markets. The industry started with dot-matrix machines, but with "various technological advancements" inkjet and thermal machines are "widely used", with the thermal-based devices using a "special type of thermal paper instead of ribbon or cartridges", which "reduces the replacement or refilling costs" of the devices. In terms of regional markets, Reportlinker believes that the Asia-Pacific market will be the "highest revenue generator" before Europe, North America, South America, Middle East and Africa, as with the "growth of online retailing, the need for a mobile workforce has increased exponentially", in turn resulting in a growth in demand for such devices. Wiles Greenworld’s Tony Robins noted that remanufactured cartridges are a "stand-out" opportunity for businesses to save the environment. An interview with E2B Pulse saw Robins, Sustainable Development Director at office supplies and services company Wiles Greenworld, discuss the options businesses based in London have to cut down their environmental impact, with remanufactured cartridges among the options he believes are obvious for London-based businesses to take up, and one of the "most popular" green products that the company provides to businesses. Robins stated that toner cartridges "are the other opportunity within offices that stands out", as "frankly, there is no reason to not use remanufactured toner cartridges. All the relevant parts, the selenium drums and springs are replaced and it's just reusing the plastic case". He also mentioned that "sometimes there's an issue with brand awareness and confidence and a default to thinking that an HP brand or a Canon brand is a guarantee that the product will work", but in terms of cost savings "it’s very significant to move to remanufactured cartridges and quality-wise, there is no reason for there to be an impact". Robins notes that the company's attitude has "been to promote and supply products with the least environmental impact as the preferred option”, and that many companies in office supplies "might put out a global tender" asking for the "cheapest place [they] can buy" recycled products, which is often said to be China, but in Wiles Greenworld’s case, Robins believes that "if it's for the UK and that product is then shipped 5,000 miles, a product from a sustainable source provided locally may well have a lower environmental impact". All these examples do NOT imply that gasoline is cheap, it just illustrates how outrageous some prices are. for WATER and the buyers don't even know the source! Mike Stately told of how his company was over-spending on printer ink, explaining that while it prints its "fair share" of documents, it was "not nearly enough to warrant what we were spending. We had to find a new way to do business". As a result, Stately turned to MPS provider Pacific Office Automation, which he said shared "very revealing" information, particularly that printers use up ink for maintenance purposes even when not engaged in printing. Pacific Office Automation’s Doug Pitassi explained: "There had been an investigation done by Consumer Reports that showed how inefficient most ink brands are […] so when Mike Stately called, we let him know this information and made some suggestions as to how to alleviate his concerns." 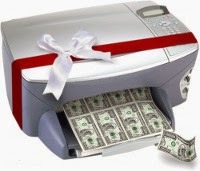 Stately decided to invest in an MFP to help save on the cost of printer ink, with the device able to provide data on who is printing and how much to further manage the costs of printing. Using an MFP also means that many documents no longer need to be printed as the device allows documents to be shared via the network database. Commenting on the new printing strategy, Stately said: "It has been incredibly helpful. Our printing costs are down, and we are spending so much less on ink. It is much more efficient than anything else we have used in the past. Our employees save time and unnecessary effort, and we save on costs. It’s a win-win for everyone involved." You can also save on printer supplies by purchasing Earth Friendly remanufactured ink and toner cartridges. Visit www.priceless-inkjet.com and start saving. 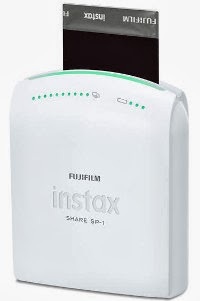 Fujifilm's Instax Share SP-1 device will be able to print photos from phones on the spot. Gizmodo reported that the machine, the latest in the company's range of Instax instant printers, can "approximate that level of satisfaction" and "wonderful feel" of photos "a Polaroid used to spit out", with the machine's built-in Wi-Fi radio allowing it to become a hotspot as well as a printer. The machine works through the Instax Share iOS and Android applications on smartphones, with a connection made to the printer and the photo produced on a two-by-three inch film sheet. Gizmodo added that the printer also has a "print again button" for those who've "taken a photo of a group and would like a souvenir", with dates and times added to photos if chosen as an option. The site also noted that it "loves the idea that you can turn your photo into a memory" with the machine, which is also battery-powered for mobile and on-the-go use, and will be available in the US market in April for $200. 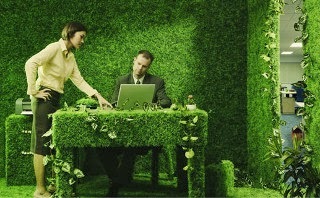 It's much easier being greener at home, but what about in your work place? There are a few tips to make your office greener and help saving the environment. Each year more than 375 million empty ink and toner cartridges are thrown away, with most of them ending up in landfills or in incinerators. You can help to reduce this harmful waste by recycling your toner and ink cartridges and by purchasing re-manufactured ones. 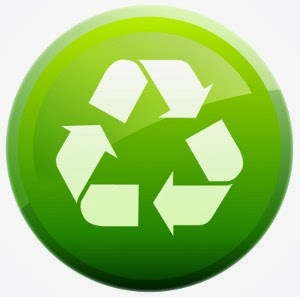 We at Priceless Ink & Toner offer Earth friendly recycled printer supplies for almost all printer brands and models. According to recent statistics from major supplies' retailers, using a remanufactured toner cartridge can keep about two pounds of metal and plastic out of landfills and save nearly a half-gallon of oil. Many retail stores offer incentive programs if you bring in your empty inkjet cartridges and toner cartridges for recycling. 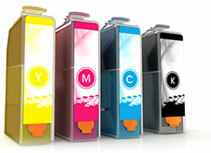 Consider refilling your old ink and toner cartridges yourself to realize substantial savings. According to The Economist's article from 1980, the average American uses the paper equivalent of nearly six 40-foot trees each year. Despite the increased use of electronic communication, the average American office worker goes 10,000 sheets of paper every year, according to statistics from the Environmental Protection Agency. You can reduce paper usage by using online office tools to share documents. 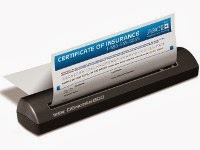 Or if you need to print your document, make double-sided copies or print on the back of old documents. Recycle unused backs of paper that come to your office in the mail or as flyers for use as notepaper for your office. Guide books and manuals could be e-mailed to the employees instead of printing a copy to each of them. You can also cut down on paper bills and junk mail. Use laptops instead of desktop computers whenever practical. Laptops consume five times less electricity. When you set desktop computers to go into automatic sleep mode during short breaks, it can cut their energy use by about 70%. Shut off lights when you leave a room. Shut off all lights when leaving the building. Purchase Energy Star-rated light bulbs and fixtures which use less energy and last up to 10 times longer before burning out. Consider installing motion sensors or timers on entrance ways. Make use of natural light whenever you can by opening curtains and blinds during the day. Encourage staff members to bring their own water bottles and coffee mugs instead of the disposable ones. Provide filtered drinking water for employee use. Place recycling bins in high-traffic areas of your office and post clear instructions about what can and cannot be recycled in them. Think about ways you can cut down on the environmental impact of transportation costs for your staff members -- encourage car-pooling. Use teleconferencing to reduce travel expenses. Help employees to arrange carpooling or offer incentives for using public transportation to and from work.